POSSIBLY THE MOST AMAZING "THINK OF A CARD" METHOD IN YEARS! "If you are seeking the holy grail of truly prop-less mentalism then you NEED to get this routine. Ben's thinking has always been unique and here he excels himself!" You ask the spectator to concentrate. You then reveal her thought-of card with 100% accuracy. It's that simple. Once you know the method you'll be able to do this at ANY TIME, ANYWHERE! In fact, you'll be doing this for the rest of your life. It is that strong, practical and simple! 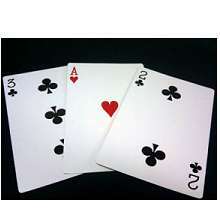 The spectator is handed a deck of cards BEFORE YOU BEGIN. She is asked to think of a card WITHOUT SAYING ANYTHING. When she has confirmed that she has a card in her mind, you ask her to imagine it "slowly fading way". Upon confirming that her mental image is gone, she is asked to take the deck and to remove her thought-of card. She attempts to do this, and counts the cards. However, there are ONLY 51 cards and her thought-of card IS NOT PRESENT-IT HAS REALLY FADED INTO NOTHING! You NEVER touch the deck-in fact you never need to know her thought of card at all! 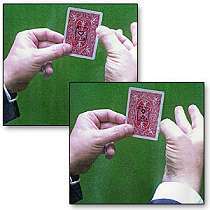 Thanks to a clever Bob Cassidy idea, you can even do this with TWO spectators, having TWO cards DISSOLVE one after the other! 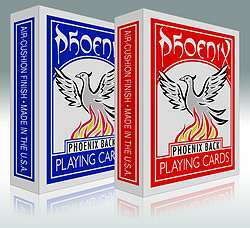 A deck is shuffled by a spectator, spread upon the table, and covered with a sheet of newspaper. 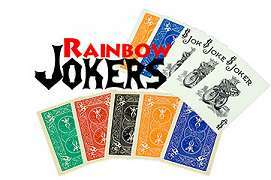 A knife is introduced and the spectator is asked to THINK OF A CARD. Once she has done this, she is asked to imagine the spirit of HER IMAGINED CARD flowing down her arms, through her wrists, into her hands and finally into the knife. AT NO TIME DOES SHE REVEAL HER THOUGHT OF CARD. The performer now takes the knife and lunges it through the newspaper-where it stands proud for all to see. Now, for the FIRST TIME, the spectator announces her thought-of card to the audience. The knife is ripped from the newspaper and is seen to be IMPALING THE VERY SAME CARD. There are no switches-the thought-of card is genuinely impaled on the knife blade! Nothing is EVER written down-this is strictly a verbal procedure! There is NO dual reality. The spectator and audience experience the same effect! There are NO GIMMICKS used at all, no nail writers, electronics-NOTHING! The effect is EASILY learned! Perform for a single spectator or a thousand! In addition to the above, STEVE SHUFTON contributes further nuance for card workers and presents "SPEECHLESS"-a devastating version of "The Open Prediction". As a very special treat, professional mentalist DEVIN KNIGHT provides TWO FULLY DEVELOPED ROUTINES-each bristling with fine detail and subtlety. Any of these bonus items are worth the price of admission on their own! PLUS additional ideas and effects from BOB CASSIDY, PAOLO CAVALLI and JASON MESSINA. "This is so much more than just an effect. It is a powerful subtlety that is a must have for your mentalist toolbox." 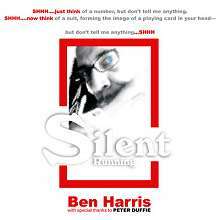 "This is going to become the best effect of 2010 and possibly of the decade...the genius magic engineer Ben Harris has done it again." "I highly recommend Silent Running to serious students of the art as well as to professional workers." "The perfect effect for those times when someone says 'Do Something' and you have nothing with you. With this effect you need only your mind." "I love the newspaper Card Stab as it has the perfect combination of drama and impossibility. Great stuff." "I will definitely be working this- amazing stuff."